The End of Falcon 9 History? The upcoming Bangabandhu-1 launch debuting Block 5 has electrified SpaceX fans but has also clouded the details surrounding Falcon 9’s development history. This post is intended to clear the skies by aggregating the publicly-available details of previous rocket versions. I wasn’t satisfied by general reports of “uprated thrust” and “redesigned engines,” so I set out to find the specific changes that evolved a Dragon-launching Falcon 9 v1.0 into the rapidly reusable Falcon 9 v1.2 Block 5. Falcon 9’s story starts with version v1.0 Block 1. It only flew five times – three demonstration launches to meet NASA requirements, and two Dragon launches to the ISS. Yet even at this early stage, SpaceX was eyeing reusability. V1.0 tested out a recovery system intended to gently splashdown the first stage in the ocean using parachutes. However, the plan failed when the boosters and accompanying parachutes were destroyed on reentry. The waiting recovery boats only ever recovered pieces of the first stage . Before v1.1 was designed, SpaceX planned to extend v1.0’s length to 180ft/55m but still rely on Merlin 1C engines. This version of Falcon 9 never flew after SpaceX pivoted to v1.1, an even larger and more improved rocket. After meeting NASA requirements using v1.0, SpaceX went back and upgraded the design to v1.1 – increasing payload lift capacity by 80% and marching ever closer to full reusability . 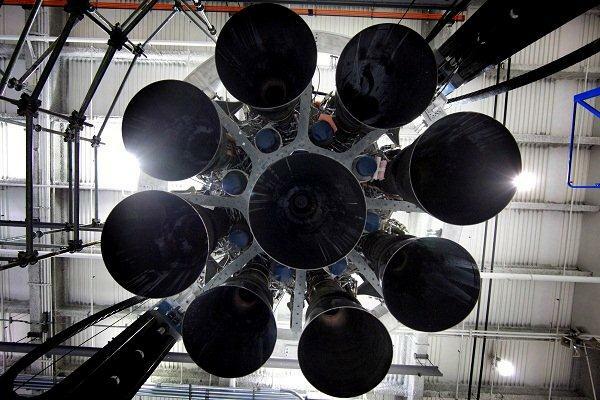 Not many specific details exist regarding the next design iteration of Falcon 9. The only concrete fact I could find was upgraded engines . According to Gwynne, Block 4 mainly serves as an incremental transition between Block 3 and Block 5 . Differentiating these three blocks is further blurred by SpaceX’s design change implementation. SpaceX got better at smoothly introducing changes to Falcon over time. With less effect on manufacturing, design changes were continuously implemented rather than introduced in disruptive batches . What is interesting to note about this design change is its debut. Before complete Block 4 Falcon 9’s were launched, Block 4 second stages were fixed to the previous design’s first stage. This scenario involving Franken-Falcons only occurred three times: NROL-76, Inmarsat 5, and Intelsat 35e. 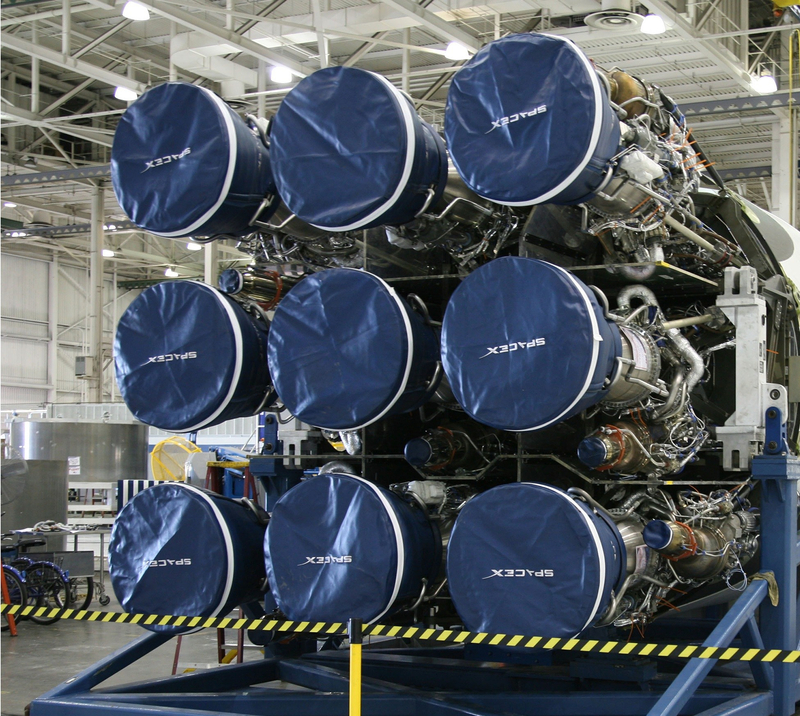 This information led many to believe Block 4 changes involved military launch requirements and increased second stage performance. Finally, we’ve reached the end…or at least the start of a temporary design freeze. Block 5 is built to meet NASA crew requirements while at the same time demonstrating rapid and dependable rocket reusability. Any SpaceX rocket must meet high demands, but now Gwynne Shotwell has expressed SpaceX’s desire to launch more reused rockets than new builds. That feat just years ago was only imagined in science fiction. Now it’s a tangible reality. Block 5 is built to fulfill that long-held aerospace wish. And because the design must remain unchanged for at least seven flights to attain crew rating, the launcher will also serve the majority of SpaceX’s clients for the foreseeable future. That means working through a manifest worth $12 billion dollars. To meet these goals and to lower the cost barrier to space, Block 5 comes with plenty of updates. Throughout Falcon 9’s development, the rocket’s Merlin engines repeatedly increased their performance. With every iteration, there was an accompanying higher thrust rating. I actually decided to not include thrust numbers with each F9 version because the upgrades were so frequent – even within block versions. The original Merlin engine only had 60,000lbf (and was rightly named ‘60K’), but now we’ve heard public thrust numbers of up to 240,000lbf. That 4X thrust increase is even accomplished with a lighter engine design. Now the name change to ‘Merlin’ (a species of falcon) makes sense. A ‘Falcon’ grows larger while ’60K’ just grows more outdated. Using a rough estimate of 1000lb engine weight and the highest reported thrust of 240,000lbf, the T/W ratio comes to an astounding 240! Although not the best metric for engine performance, the incredible thrust-to-weight ratio of the Merlin engine is indicative of impressive engineering. Falcon 9’s history is clearly long and winding. The initial v1.0 rocket underwent a few growth spurts, some wardrobe changes, and countless internal tweaks to become the adult Block 5. Because of this, the growing rocket continually questioned its identity. At various times in its life, it’s been called Falcon 9 v1.0, Falcon 9 Block 2, Falcon 9 v1.1, Falcon 9 Upgrade, Falcon 9 v1.2, Falcon 9 Block 3, Falcon 9 v1.1 Full Thrust, Enhanced Falcon 9, Full-Performance Falcon 9, Falcon 9 Block 4, Falcon 9 v1.2 Block 4, Falcon 9 New Design Spin, Falcon 9 Block 5, Falcon 9 v1.2 Block 5, and Falcon 9 Version 7. Don’t let the names confuse you. The major iteration changes are easy to understand if you think in terms of utility (or at least what outsiders perceive as utility). I’ll stick to the four most widely publicized iterations: v1.0, v1.1, v1.2 Blocks 1-4, and v1.2 Block 5. The first Falcon 9 design fulfilled NASA requirements to launch cargo to the ISS. That was v1.0. Once those requirements were met, SpaceX felt comfortable going back, testing new design features, and increasing performance for reusability and private customers. That was v1.1. Then with each landing attempt, SpaceX honed its blueprint. Those frequent lessons, along with military requirements and a desire to recapture GTO boosters, fostered more upgrades. Smooth implementation made this development continuous and ill-defined. That was v1.2 Blocks 1-4. Then Commercial Crew requirements eventually ended the party when its inevitable design freeze marched too close for comfort. The final update appeased engineers by including safety changes, reusability optimizations, and ultimate performance increases. SpaceX’s rocket finally matured and is now ready for humans. That is v1.2 Block 5. The first comment on the first article he referenced was funny. Great article! Reads well. Thank you for research and effort that went into it. Fixed that typo and added a unit label for the temperature. Thanks!